Nobody likes spending money, especially me. I’ll spend hours looking for a way to save even a few dollars on my online purchases. No matter what I’m looking for, marketplaces like Amazon make it easy for me to find a cheap alternative to the expensive brand name products I’m looking at. Cheaper doesn’t always mean better, though. When it comes to things you use often, things that you want to last, and things that are important to your daily life, it’s often a bad idea to go with the less-expensive alternative. Quality and durability aren’t cheap, and good design costs money. If you want a product that you’ll enjoy using day after day, it’s important to do your research and find out which cheap brands you should avoid. While WearEver makes some pretty inexpensive ceramic cookware, I don’t think it’s a brand you should be wary of. Instead, I think WearEver makes some pretty solid ceramic cookware sets that I’d recommend to a friend in a heartbeat. They’re not the fanciest, the best looking, or even the most durable pots and pans you can find, but they’ll give you pretty good performance for the price. One quick note before we get started with some product reviews: WearEver and T-Fal are pretty much the same brand. They’re owned by the same parent company, they make very similar cookware, and many retailers use both names when referring to WearEver cookware sets. When it comes to inexpensive non-stick cookware, I’m a big fan of T-Fal, too, so feel free to pick up a comparable T-Fal set if you can find one at a lower price. 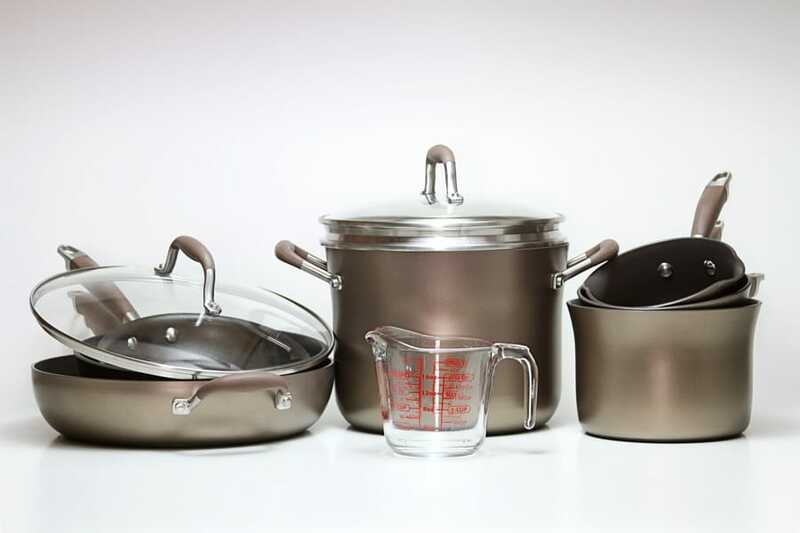 The WearEver cookware line combines low cost, convenience, and safety. It utilizes a PFOA-free ceramic non-stick coating to deliver pretty impressive cooking performance without compromising your health. Unlike some budget cookware brands, this ceramic coating is totally non-stick, meaning you can easily cook eggs or melt cheese and then simply slide your food off with a spatula. 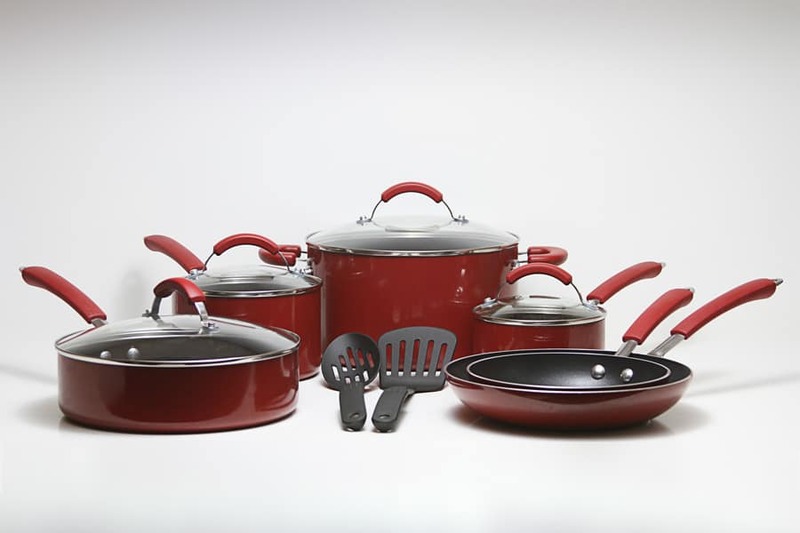 Like most low-cost non-stick cookware, the pots and pans in this set are made out of a thick core of aluminum. Aluminum is cheap, strong, and very good at taking heat from your stove and transferring it to your food. While it has downsides, you don’t really care about them as long as it’s covered up by other materials. Aluminum’s soft surface means it’s not ideal as an outer layer. 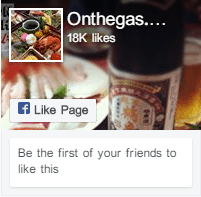 It’s not something you want coming into contact with your food, either. WearEver ducks both issues by coating the interior of each pot and pan with a generous layer of ceramic non-stick (so your food never touches the aluminum) and covering the exterior with a vibrant, colorful finish. While I’m a big fan of this set overall, I want to make something clear: you WILL be replacing the pots and pans in this WearEver cookware set within a couple years. Non-stick coatings don’t last forever in the kitchen. This particular brand of ceramic is no exception. In fact, if you’re not careful with how you care for it, it can “wear out” in a matter of months, causing the bottom of your pots and pans to stick to food like crazy. With proper care and use, however, most people will get a couple years of use out of this set. Luckily, it’s cheap enough that it’s not a problem to replace this set every two or three years. Caring for them properly isn’t hard, either. In this case, “proper care” means using a small amount of oil or butter while you cook, avoiding high-temperature cooking, and not using abrasive cleaners. As long as you use a few drops of your favorite low-fat oil, keep your burners on medium, and clean your pots and pans out with a mild dish soap you should be fine. This cookware set doesn’t do particularly well in the oven due to its tempered glass lids and soft-touch handles. Neither feature has a high degree of oven safety. High-temperature oven use will reduce the lifespan of the ceramic coating, of course, so it wouldn’t be a good idea even without these features. The primary advantage of this set is cost. It’s not especially better than a Kirkland non-stick set (unless you prefer ceramic to Teflon). It is, however, quite comparable in many ways. 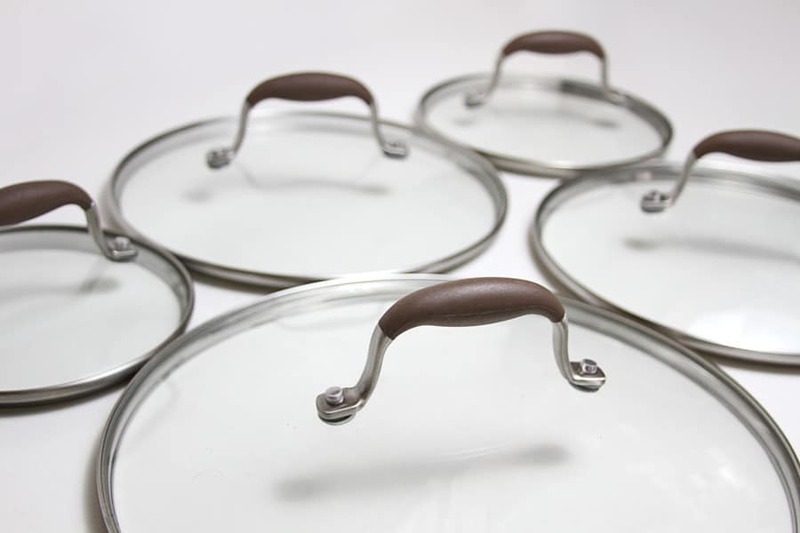 Aluminum construction ensures that these pots and pans have the same handling on the stove as top brands, while the effective non-stick is just as good as the expensive stuff for at least the first year. In other words, there’s nothing wrong with saving money by choosing a WearEver cookware set. When comparing to lower cost options, like Paula Deen or even Guy Fieri endorsed cookware, there’s not much of a difference. Feel free to choose whichever one looks nicer, or whichever option is on sale. The bottom line? If you want to save money while getting an effective non-stick cookware set, this WearEver line is perfect — as long as you don’t mind replacing it. Since ALL non-stick coatings wear out, not just this particular ceramic, there’s nothing wrong with saving money and choosing WearEver. If you’re not dead set on ceramic, consider this PTFE non-stick set as well. It’s still totally free of PFOA, the toxic chemical that used to be in old-style Teflon. The non-stick coating is equally effective, while you still get the same light and strong aluminum core in your pots and pans. 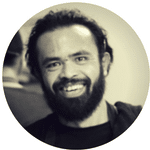 You’ll find the overall cooking experience quite similar between both sets. PTFE is a family of chemicals that includes Teflon, which is a brand name owned by DuPont. The biggest difference between ceramic and PTFE non-sticks isn’t how long they last or how effective they are, but rather how they fail. PTFE will eventually flake off or become scratched, exposing the aluminum underneath. Ceramic coatings, on the other hand, will simply become less effective over time. 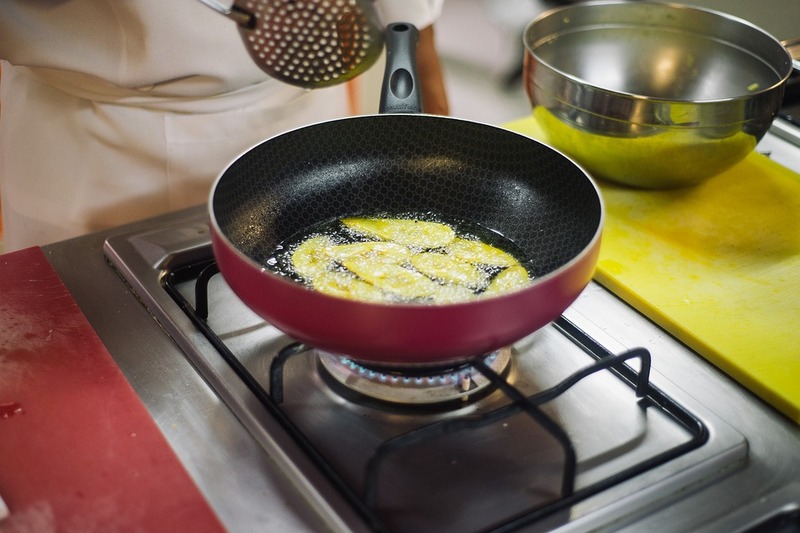 As long as you choose a PFOA-free nonstick, both options are perfectly safe. The other big difference is temperature safety. PTFE will actually release a “toxic” gas if it’s heated to high temperatures, between 350 and 500 F. The exact temperature depends on the type of PTFE in your pots and pans. Ceramic non-sticks are usually totally safe to over 500 F, but you’ll rapidly wear them out if you heat them up over 450 F or so. In both cases, it’s a good idea to limit your cookware usage to medium or lower. This PTFE cookware set is often cheaper than the ceramic set above. If you don’t have a strong preference for one or the other, check the prices on both! You’ll save a bit of money and still get a great set of pots and pans. When I’m trying out a cookware brand for the first time, I like to start with a covered saute pan like this one. There’s plenty of flat surface area in the base for sauteing and frying, while the straight sides let you do a bit of simmering or boiling when you want. This lets you try out pretty much all of the types of cooking you’re likely to do with a full set. I’d highly recommend picking up this pan if you’re on the fence about WearEver or ceramic non-stick in general. Even if you wind up hating it, it’s quite inexpensive. You can always use it for eggs and pancakes. The other thing that I really like from brands like WearEver (and T-Fal) are sets of more than one non-stick frying pan. I love to use non-stick pans like these for eggs. While I’m totally capable of cooking eggs in a stainless steel pan, I have to pay attention to time, temperature, and the amount of oil or butter in the pan. With these non-stick pans, however, I can pretty much forget about all of that and flip my eggs whenever I want to. The big advantage of getting a set of two comes a few months down the line. The non-stick in these ceramic pans will gradually wear out over time. You can easily squeeze a couple of years of use out of each pan, but any more than that starts to get really, really hard. By getting these pans in sets of more than one, I effectively double the lifespan of my egg pan. They’re cheaper as a set, too, which saves me a bit of money in the long run. The stylish exterior and soft handles on these pans help make cooking fun, while the low cost ensures you can add them on to any cookware set. 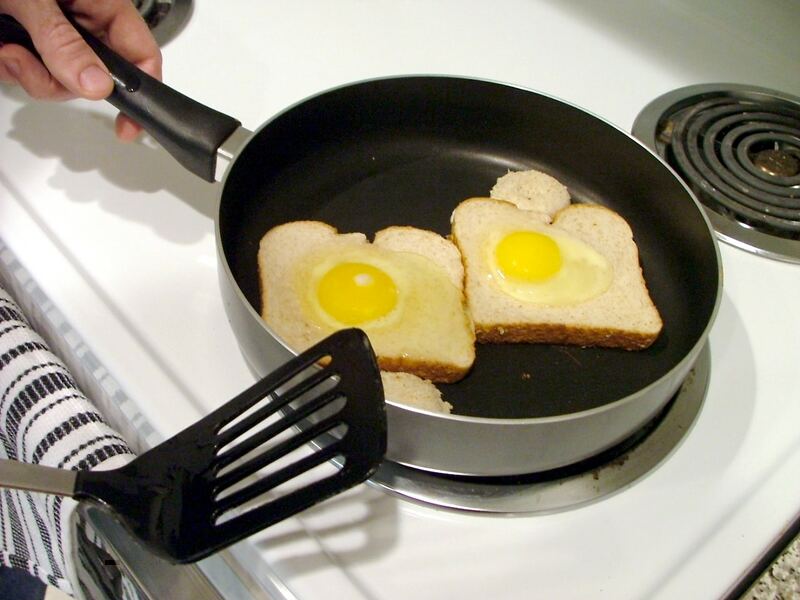 If you want a set of great pans to use for eggs, consider these WearEver ceramic fry pans. WearEver ceramic cookware is cheap, very non-stick and somewhat stylish. While it’s not my favorite brand ever, the low cost and high performance let it compete with other budget brands. It’s absolutely worth considering over brands like Tools of the Trade, while the non-stick cleanly beats As-Seen-On-TV non-stick products like Gotham Steel or Red Copper. If you can get a good price on WearEver, pick up a set! You won’t regret it.